I have what I call a low-profile Instagram account. I use this mostly to keep myself in the loop of what people I admire (mostly musicians) is up to and for the endless stream of jokes. I still set my profile to public and used my real name for the account but I’ve never told a single soul about my profile and yet, barely a week after I set up the account, people I went to high school and college with began following my account. It can be really easy to find people or businesses you’re looking for online. Given this, it’s common to see businesses forgoing website entirely and simply limit their presence to the various social media platforms available. With the sheer amount of social media platforms available, you can bet that each slice of the population is properly served by at least one platform and on a purely technical level; businesses don’t need a website for customer’s reference. Then again, I don’t technically need Spotify to listen to music but there’s no way I’m cancelling my Premium subscription. In a way, website and web development occupies that same position in that they’re vital to the success of your business. For me personally, having my own personal space is important, both metaphorically and physically. Every month, I always try to dedicate a single weekend where I can be in a place where no one I know will ever find me. Even if it’s technically a public place, it’s always nice to carve your own corner of the world that just for a moment belongs to you. There’s this unassuming coffee shop near where I live for example that even on the weekends is never full that I regularly use if I don’t feel like making a trip. In a way, this is what I consider websites to be, your own little corner of the internet that belongs to you. Your business’ website is your business’ personal space while by comparison; your Instagram or Facebook page is like your seat in the theater. Yes, technically it’s your space but it’s also cramped and you’re still very much in close proximity with the other patrons. 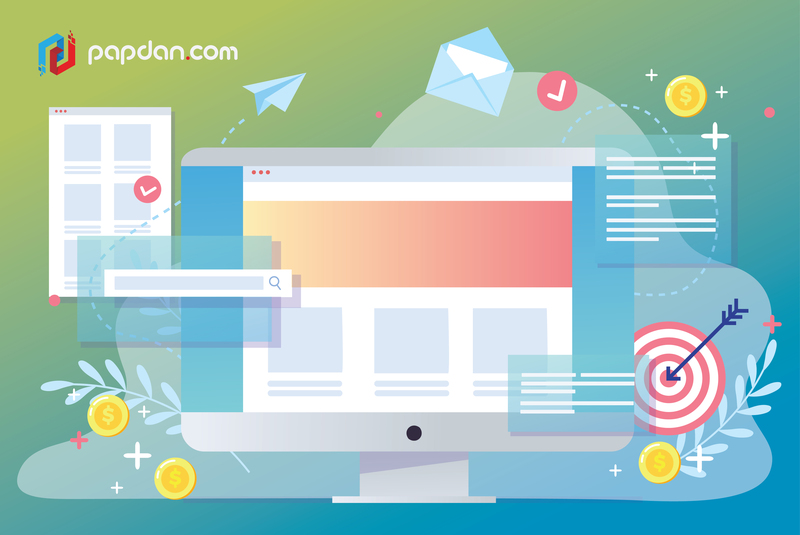 Websites could offer your business the kind of freedom and flexibility that social media platforms couldn’t, and this freedom could help your business in 4 different ways. Anyone can open Instagram/Facebook/Twitter/(Insert social media platform here) and open an account there but to set up a website and everything that goes with a website requires considerably more commitment. Of course, there’s an ocean of difference between a well-thought-out and properly designed website and something that looks like as if it’s been assembled together in less than 10 minutes so having a website for the sake of having website won’t be enough. Think of having a website as going to a job interview wearing your best clothes and you won’t be too far off the mark. For example, many moons ago Instagram requires every image uploaded on the platform to have the shape of a square. That restriction no longer applies but there are still some limitations on what you could post on Instagram, like video lengths and how you can’t include external links on your post. Yes, you could argue that for videos, you have access to YouTube and Vimeo but those platforms have limitations of their own and there’s not a single social media that could reliably accommodate everything you’ll ever need. Websites aren’t perfect, especially if you’re sticking to a pre-existing theme, but they have much less restrictions on what you could do compared to social media platforms and you could still include contents from your social media feed to your website if you want to. Dedicated websites are especially useful if you have the capability to create interactive contents. For those working in the creative industry, the restrictions on social media platforms can be particularly suffocating. Have you ever tried ordering stuff online through e-mails or texts? I have and it was a bit annoying. There was this boutique watchmaker I’m interested in but it turns out that one of the items they have on display on their Instagram account isn’t available on their website. I asked them about this over text and it turns out they do have that particular item available, just not on their website. I ended up having to order it through text where I have to write the detailed specification of the item, my personal details, etc. If you’re in the business of selling things, you are practically required to have a website and regularly updates said website when you have new things in stock or when a particular product is sold out. Having to go through that laborious process of ordering through text over and over again is just annoying. For example, take a look at what Undone Watches have done, where customers and potential customers could customize their watches through their website and see how it’d look like in real time instead of having to list their preferred specifications. There’s the ubiquitous WordPress for one but if you’re looking for something more minimalist and classy, take a look at what Squarespace or Wix is capable of. Squarespace and Wix highly values simplicity and accessibility while being aesthetically pleasing. Both Squarespace and Wix are very easy to use but you’re going to have to sacrifice some degree of customization, which is somewhat similar to how Apple controls their platforms. 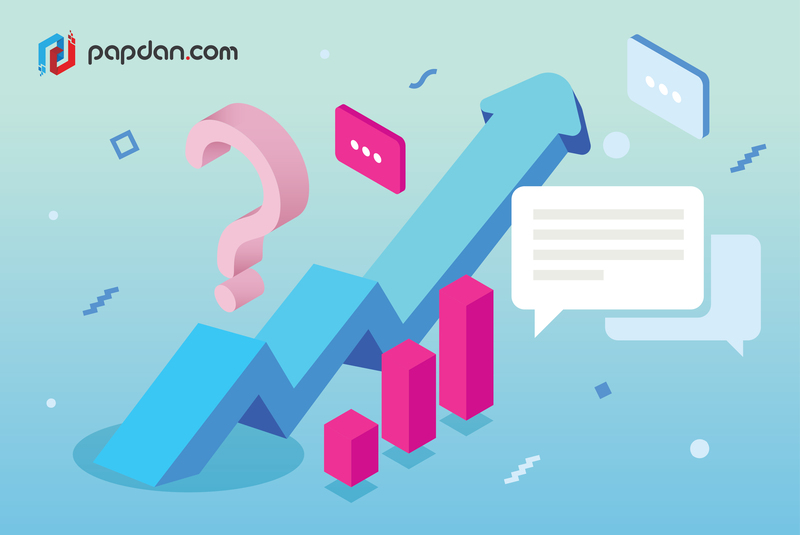 These platforms also comes equipped with a tool to help with the more complex idea of SEO or to set up an e-commerce site, which can be a boon for business owners that have a limited understanding of web development. This entry was posted in Article, web developers and tagged agency, article, branding, business, content, design, designer, developer, development, ecommerce, google, marketing, Melbourne web designer, online, search engine, search engine optimisation, search engine optimization, SEO, SEO agency, seo services, social media, tips, web design, web designer, web developer, web developer agency, web development, website, website designer, website development on March 21, 2019 by Mario. I never consider myself a diligent person, but when it comes to paying attention to details, I am that person. When I am planning to do something, I have to know the details first. My friend and I kind of have this idea of starting a business but I refuse to start it if we don’t have enough resources and time for the branding. I said to him, “We ought to conduct several researches and we don’t just randomly name our business out of spontaneity. Branding is the Queen. Content is the King. Also, we have to have our own social media presence and a website as well.” And he replied, “Leave the web design and development to me. You do social media.” Having discussed the first step, we realised that both of us are not considered as a diligent person. Sometimes we forgot things and other times we did not keep our priorities straight. Since we love this coming-soon business and we want to succeed, we have read so many articles, watched inspiring YouTube videos and read books written by famous entrepreneurs and finally, summed it up into one final solution; the to-do list. I’m sure most of you are aware about to-do list because almost (but not all) everyone has it. However, not all people know the values that to-do list can give to those who are ambitious, especially if the to-do list is creatively made. How do we make creative to-do list to develop a successful business? Keep reading to find out! Before planning to write your assignments, first you need to write down what you need to do, what you should not do and what you need to know. Whatever it is that comes into your mind, write it down until you feel there is nothing left to write. It’s okay if it sounds so random at first. You can do the next step to arrange it. After writing down your list, start arranging them from the Most Important Tasks (MITs). Make sure you’ve got the MITs listed as the top priorities. This will remind you every day that you must finish the prioritised tasks first. That way, you will keep your priorities straight and consistent. Well, it doesn’t necessarily mean you have to show off your to-do list to everyone on social media. Make your list “known” by the people around you – your house maybe. You can do simple things like putting a sticky note on your refrigerator containing your MITs. This will let the people in your house know about your goals and when notice that you forget, they will remind you about it. This will also help you get yourself on track and motivate you to finish it. I don’t know about you, but what makes me stay interested in playing a game is the quest completing. A human mind is somewhat simple; as a human we’d like to collect things. When I see quests and the rewards I can get from finishing the quests, I feel so motivated to play the game. The reward is simple; a badge. There is something about merit badges that make me want to achieve one by one by completing the quests. Not only does this give me more badges, collecting those badges alone also makes me feel satisfied. Moreover, it’s not just about the badges. Collecting a certain number of badges will also get me promoted to the next higher level or at least boost my status in that game. Perhaps, you can also do the same thing for your to-do list. Make your to-do list fun game-like quests that you wish to achieve, only in a more serious way than just a game with an addition of some fun in it. Add some rewards like badges and treat yourself when you are one step ahead. For example, you create this badge called “The Super Owner Badge” and in order to achieve that badge, you have to complete 10 quests at the starting level. And those quests are your first MITs in your to-do list. After achieving that badge, you can move to the next level. It is fun, isn’t it? I do that too every day and it gets me motivated. If I can, you can too. 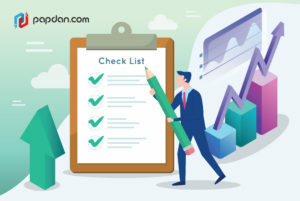 The main important thing about to-do list is your determination to do your best to finish your tasks one by one and create new plans to deal with the future. Business owners are always faced with new things in the future and the better way to overcome it is by being prepared for what is to come. Creating to-do list is one of the ways to get you prepared. This entry was posted in Article and tagged agency, article, branding, business, content, design, designer, developer, development, ecommerce, google, marketing, online, search engine, search engine optimisation, search engine optimization, SEO, SEO agency, seo services, social media, tips, web design, web designer, web developer, web developer agency, web development, website, website designer, website development on March 21, 2019 by Mario.